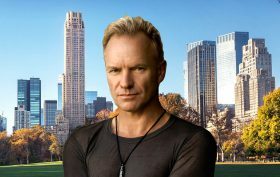 Just six months after selling his huge Central Park West penthouse for $50 million, Sting has reportedly moved on to an equally swanky residence. 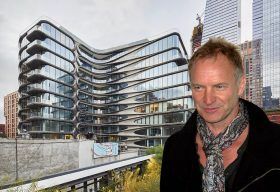 According to Page Six, he and wife Trudie Styler are “renting a large terraced apartment on a high floor” in Zaha Hadid‘s recently-completed, curvy, High Line-hugging condo at 520 West 28th Street in Chelsea. Though his former home was in a classic Robert A.M. Stern-designed building (he must really have a thing for starchitects), it was decked out in an uber-contemporary style, so it makes sense that he’d want to move over to one of the city’s most futuristic buildings.